Don’t wait to get your car sold. You don’t have to wait weeks or months trying to sell your car. Get it sold today. 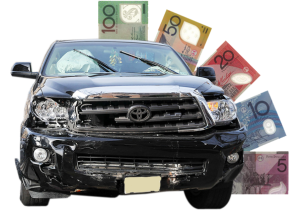 Give Cash for Cars Gold Coast Qld a call, and we will make you an offer for your car for sale on the Gold Coast. We pay Top Cash for cars of every make and condition. Selling your scrap car on the Gold Coast is very simple, thanks to Cash for Cars Gold Coast Qld. All you need to do is pick up the phone and give us a call. We will evaluate your car over the phone or online. We are so good at determining the value of cars that it is seldom that car seller that obtain quotes from us pass on the quote. We are fair with cash values for cars and do not make obtaining a quote a hassle. Get a quote over the phone or online and know within minutes if we are your Car Buyer on the Gold Coast. At Cash for Cars Gold Coast Qld, you can relax and know that you will get a top cash offer for your car, regardless of its make and condition. We evaluate used cars to scrap cars, always making fair cash offers for cars. With us, you have no concerns that you can’t get your car sold because of its condition. We guarantee to make fair cash offers for any make and condition of car, truck, van, SUV, or 4×4. With us, you get free Old Car Removals anywhere on the Gold Coast. We are a cash buyer of cars of every make and condition and remove cars for free. We pay cash for the cars at the time of their removals. This means that you don’t have to waste time, money or effort to get your car removed when we are your choice of a car buyer & removal company. Just let us know when you’d like us to arrive to buy the car, and once the cash for the sale of your car is in your hands, we will remove your car. No hassles, no costs, and no time wasted. Get a Same Day Car Removal Gold Coast today. With Cash for Cars Gold Coast Qld, you have a sell for your car that allows you to get it sold without hassles. You also have a car sale that leaves you feeling assured that you have made the right choice for a car buyer. We are a top-rated car removal company with a team that loves to provide our customers with quality services when selling cars. We buy all makes and conditions of cars and make selling a car a breeze. Our buying process is a three-step process that leaves you with a quick, fair cash sale for your car. Contact us over the phone or online for a quote. Schedule a free car removal Gold Coast. We guarantee to provide every car owner with a cash offer for their car of any make, model, and condition today. To obtain a cash quote for your unwanted car, give us a call at the number below. Online quotes can be obtained through our “Get a Quote” form at the top right of this page. Get top cash with us.